Your allergist can perform allergy testing to any allergens that will cause you to suffer an allergic reaction. This information will help you avoid exposure to these allergens. During allergy testing, your allergy doctor will apply extracts of common allergens to your arms or back. If you’re allergic, you’ll develop hives immediately. Your allergy doctor can recommend the right allergy treatment. Once your allergist has completed allergy testing, you’ll know what you need to avoid. If you have food allergies, such as nut or peanut allergies, you’ll need to read nutrition labels very carefully to avoid eating foods that contain ingredients that will cause an allergic reaction. If you develop hives or trouble breathing after eating a certain type of food, you should visit a doctor or emergency room immediately to reduce your risk of anaphylaxis. An allergy specialist can reduce your risk of complications from peanut allergies by administering peanut sublingual immunotherapy. A dosage of peanut extract is placed under the patient’s tongue, held there for 2 minutes, and then swallowed. Over time, the dose is gradually escalated so that the patient can tolerate more of the food with a decreased likelihood for an allergic reaction. While not a cure, this effect is life altering as it may mean the difference between tolerating an accidental ingestion instead of having an anaphylactic reaction. If you’re in need of an allergy doctor near Blue Bell, Lansdale, Collegeville, Lansdale, Pottstown, Doylestown, Jenkintown, King of Prussia, or Philadelphia to diagnose or manage your food allergies, nut allergies, or peanut allergies, come see us at Allergy & Asthma Specialists℠. We can provide allergy testing to identify your allergens along with safe, effective allergy treatments to manage your symptoms and improve your life. 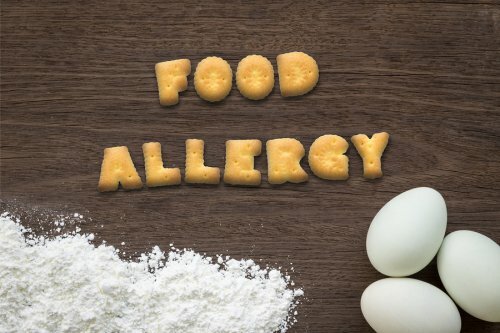 To learn more about our food allergy solutions, call us today at (800) 86-COUGH.